One of my favorite gift ideas (and a fun night of craftiness) is painting tiles at a pottery shop to make a coaster set. Here’s a set I made (and sold) a while back. Not gonna lie, I kinda wish it hadn’t sold because I love this so much. Still planning to do another set for me at some point. 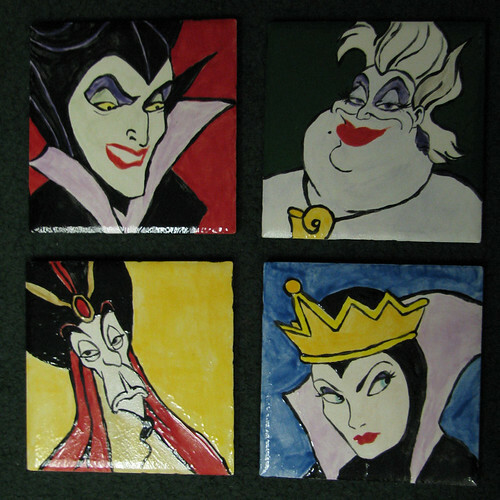 Maleficent, Ursula, Jafar & The Evil Queen.